Perfect for organizing your flatware, this durable Steril-Sil TC-6-BLACK flatware cylinder holder is built to handle the daily demands of your busy buffet or cafeteria. With its compact 3 hole by 2 hole configuration, it's great for countertops where you have a limited amount of left-to-right space. 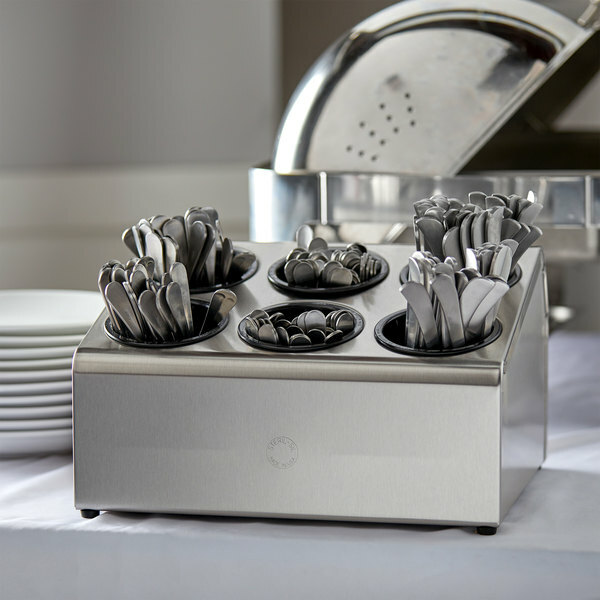 The cylinder holder is easily able to store ample amounts of your best flatware without taking up excess room. The TC-6-BLACK includes 6 black plastic RP-25 Series flatware cylinders. Rubber feet assure that your silverware will stay in place among the hustle and bustle of your busy dining area. Made of 20 gauge, 304 stainless steel, this cylinder holder is highly durable and able to stand up to the wear and tear of everyday use. 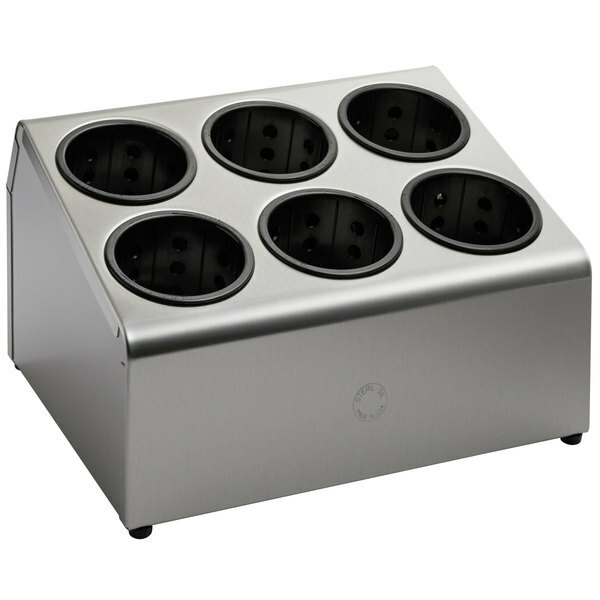 Keep your dining area running smoothly with this 6 hole cylinder holder!